Health Costs > How Much Does Urgent Care Cost? 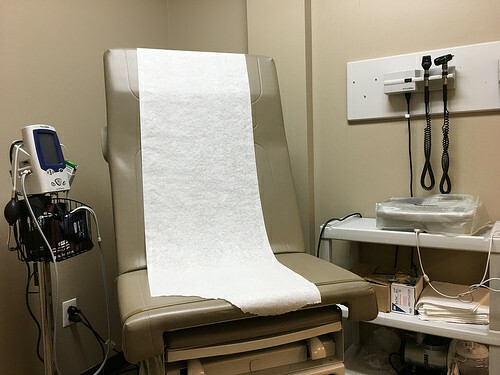 Urgent care is a physician-staffed clinic that offers walk-in medical services for minor illnesses and injuries such as the common flu, cold or allergies. These centers provide services on a walk-in basis, meaning that there is no appointment necessary. For a simple visit to the urgent care, without any sort of vaccination, procedure, or medication, the costs for a single urgent care visit can range anywhere from $75 to $250 without health insurance. The cost will depend on the injury/illness, the geographical location, urgent care affiliation and if additional tests are needed. Since most urgent care centers are often individually owned, it can be hard to offer an exact cost, just like any other medical service. However, if you have health insurance, urgent care should be covered, and you will only be required to pay your co-pays, deductibles, etc. Many of these facilities accept most private health insurance plans, with average co-pays ranging from $25 to $50. To find a new health insurance policy or maybe switch the one you have now, consider browsing through hundreds on eHealthInsurance.com for free. Refer to the table below for the nine most common illnesses and cost estimates. NOTE: These are the costs on top of the first-time visits mentioned above. According to a study done by the Annals of Internal Medicine, stating the average cost of an urgent care visit for three common ailments was $155, while other estimates were inside the $71 to $125 range. UrgentCareCenters.com states that the basic urgent care costs usually range anywhere from $75 to $150 per visit, depending on location and if the patient has insurance. According to ConsumerReports.org, the cost of urgent-care is moderate and is about $120 on average. Medication may be prescribed, depending on the reason you’re visiting. The cost of the medications depends on the prescription and won’t be included in the estimates. Tests may be required depending on the medical condition. This could include a strep test, blood work or x-ray, for example. Refer to our table below to see what the additional tests could cost. If the urgent care is associated with a hospital, it could be an emergency room in disguise, according to Compass Professional Health Services. This means your bill will be similar to that of an emergency room, meaning your bill could be much more than expected. Before you pay for any services, ask the clinic in advance if they bill as an ER or urgent care center. Even if they confirm they bill as an urgent care center, be sure to get it in writing and write down the employee’s name in case a dispute does happen in the future. Does urgent care accept Medicaid? This will all depend on the urgent care’s billing policy. Unlike an emergency room that needs to accept anyone who walks through its doors, an urgent care, since it’s privately owned, can be picky with who they accept. The answer: it’s either yes or no. Talk to the urgent care by phone before showing up to see if they accept it. If they do, they will just ask for your insurance card before services are rendered. The most common illnesses or injuries covered by urgent care are allergies, rashes, pinkeye, stitches, sprains, strains, cuts and bruises, minor head injuries, minor broken bones, mild asthma attacks, minor infections, colds, coughs, sore throats, rashes, minor burns, urinary tract infections, and pelvic infections. Urgent care centers will staff either urgent care physicians, registered nurses, and/or nurse practitioners. According to Blue Cross Blue Shield, if the condition isn’t life-threatening but needs to be taken care of right away, then an urgent care will be your best choice. These non-life threatening illnesses can include a fever, ear pain, sore throat, vomiting, asthma, rashes and infections. As mentioned, these centers will be open late after normal business hours and many offer on-site diagnostic tests but may be limited in terms of other testing options. Plus, the costs will be much less. Emergency rooms, on the other hand, will be a place for life-threatening conditions and will be open 24 hours, seven days a week. These life-threatening conditions may include a head injury, coughing blood, chest pain, spinal injuries, uncontrollable bleeding, seizures and severe burns. They will have the widest range of services, including all diagnostic tests and access to specialists. In the end, use your judgment. If you feel as if you need care right away, then choose your local hospital; however, if you were able to wait for an hour or so in a waiting room and you’re okay with that, then an urgent care will be a better option, especially if you’re looking to save money. Make sure you check with your insurance company ahead of time to see which urgent care clinics they cover. This can be found using the official insurance network search tool on the official website or you can call their customer service number. If you don’t have insurance, many urgent care centers are happy to offer a cash discount if you pay up front. Highly consider using a telemedicine app such as Teledoc or Doctor on Demand, for example. These apps are staffed 24/7 with licensed doctors, who are available either by phone or webcam. Just like a doctor’s visit, you will explain your symptoms, and if the doctor is able to diagnose you over the phone, they can send in a prescription to a local pharmacy. Depending on your insurance and the app you choose, the costs can be as little as $25 per visit, and you don’t even need to leave your home. If at all possible, wait until you make an appointment with your physician. Even if your doctor’s office is closed, see if they have an after-hours line you can take advantage of to talk to either your doctor or a nurse. Depending on the office billing practices, the office may charge you, or in some cases, they may even waive the fee if you’re an established patient. Urgent care center co-pays will always be more than your local doctor’s office. If you live in an area with a few options, consider calling to see who can offer the best deal for your situation. Most urgent care centers can offer a ballpark estimate over the phone. Paid in cash no insurance. This is with cash discount. Insurance said $60 co-pay for urgent care. Paid $40 co-pay instead. In and out in ~30mins. Made an online appointment.